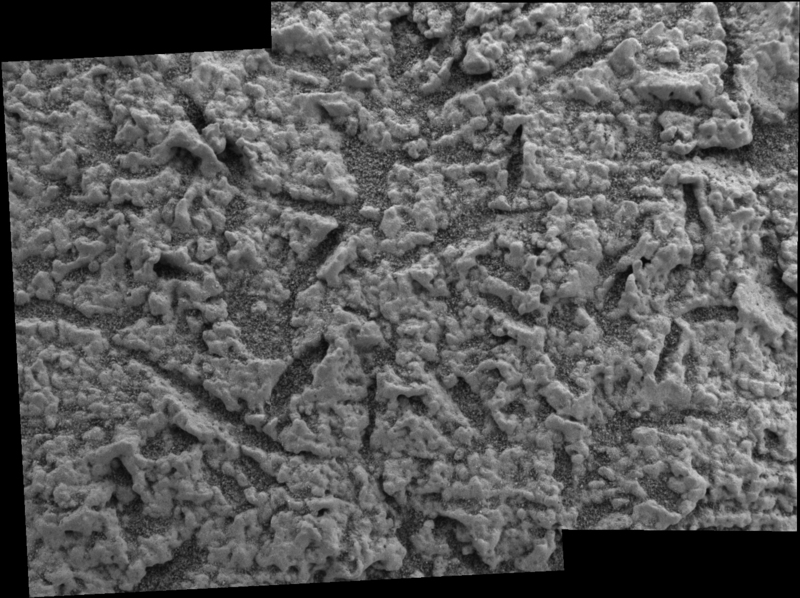 This image, taken by the microscopic imager on the Mars Exploration Rover Opportunity, illustrates the shapes of the vugs, or small cavities, located on the region dubbed "El Capitan." The region is part of the rock outcrop at Meridiani Planum, Mars, which the rover is currently examining. 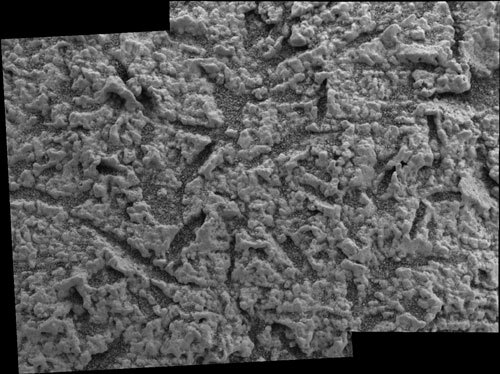 The image provides insight into the nature of the rock matrix -- the rock material surrounding the vugs. Several vugs have disk-like shapes with wide midpoints and tapered ends. This feature is consistent with sulfate minerals that crystallize within a rock matrix, either pushing the matrix grains aside or replacing them. These crystals are then either dissolved in water or eroded by wind activity to produce vugs. The rock matrix here exhibits a granular texture, delicately enhanced through wind abrasion. The primary sediment particles making up this granular layer are relatively uniform in size, ranging up to 1 millimeter (.04 inches). Note that some of these grains are well rounded, which could result from transport of rock fragments in air or water, or precipitation of mineral grains in water.